Click image to open and then right click to save to your computer. Partners and media outlets have our permission to use these photos. Teens getting hyped to go speak one-on-one with legislators. 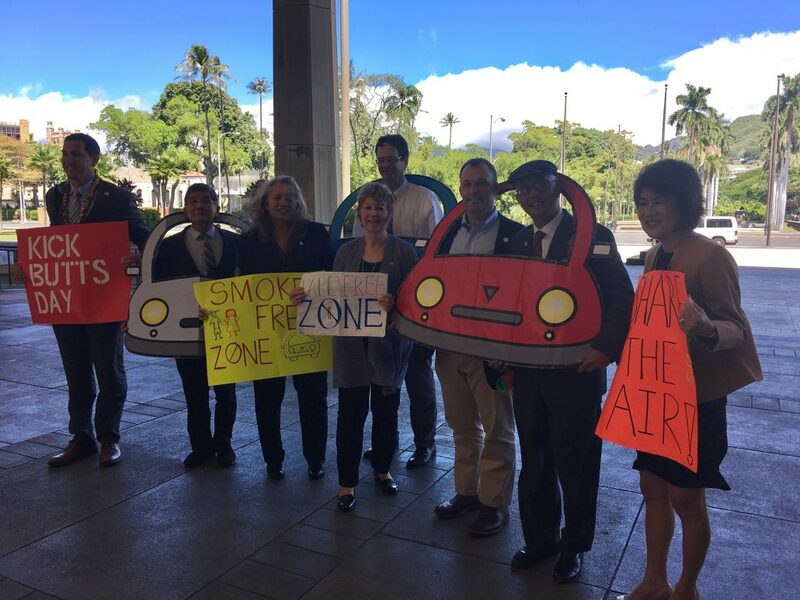 First Lady Dawn Ige and legislators stand up for smoke-free vehicles for our keiki! Videos are provided with links to download the footage and may be used freely by partners and media. Download the video above here. Contact Brian Birch at brian@hiphi.org or by cell at 775-848-4660 with questions or to arrange an interview. 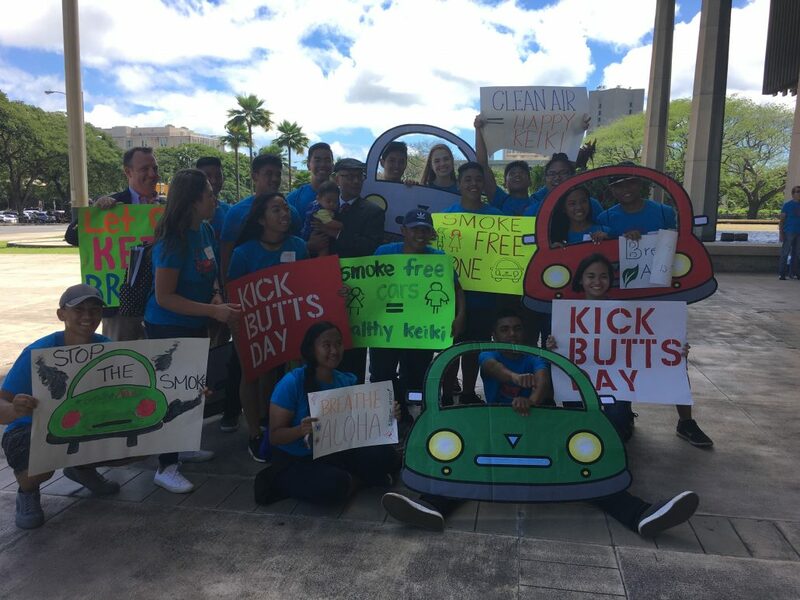 HONOLULU, MARCH 20 — Today’s Kick Butts Day event at the State Capitol drew more than 70 young advocates from across the state to urge the legislature to pass Senate Bill 261, which would prohibit smoking or vaping in vehicles when a minor is present. 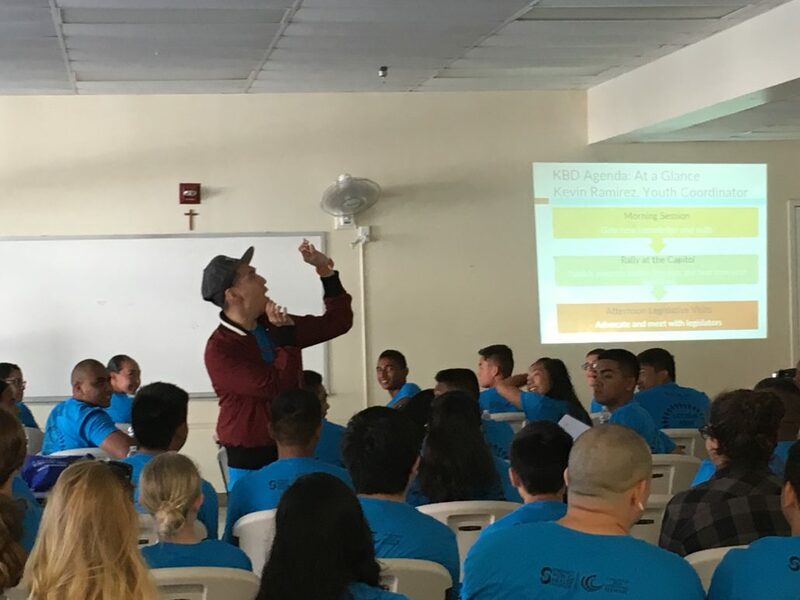 Organized by Coalition for a Tobacco-Free Hawai‘i and its parent organization, Hawai‘i Public Health Institute, the event was part of a national youth movement to stand up to Big Tobacco and educate youth about the dangers of tobacco use. Attendees of today’s event received advocacy training, marched and rallied with elected officials, and participated in dozens of one-on-one meetings with members of the legislature. Videos and photographs of today’s event are available for media use here. Currently, Senate Bill 261 has passed the Senate and has crossed over to the House. The bill now awaits a hearing from the House Transportation and Health committees before moving to Finance. Today’s attendees want to see it get all the way across the finish line. 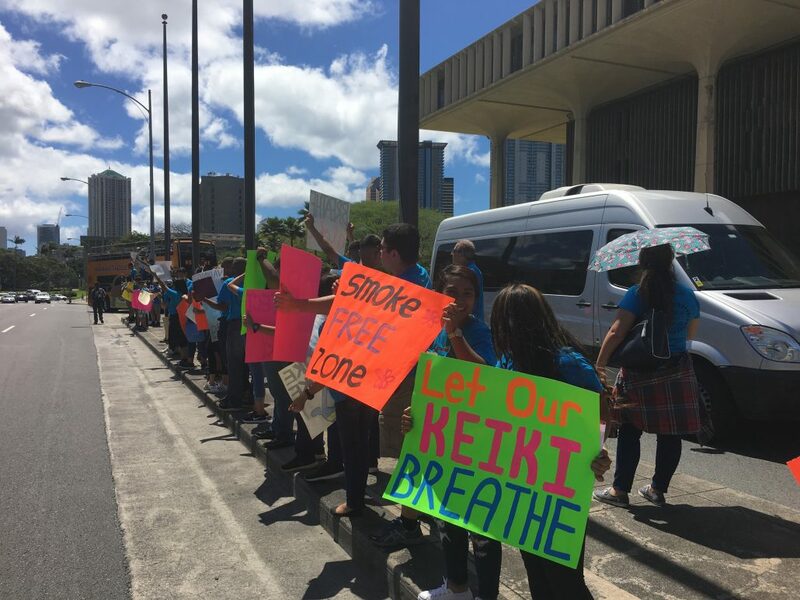 Much like seat belts and child safety seats, which are required by law, SB 261 would codify into law another important safety standard: no smoking or vaping in a vehicle when a minor is present. There is no safe level of secondhand smoke. It contains over 7,000 chemicals, including hundreds that are toxic and about 70 that can cause cancer. The concentration of secondhand smoke in a vehicle can exceed 10 times what the EPA deems as unhealthy, even with the windows down. 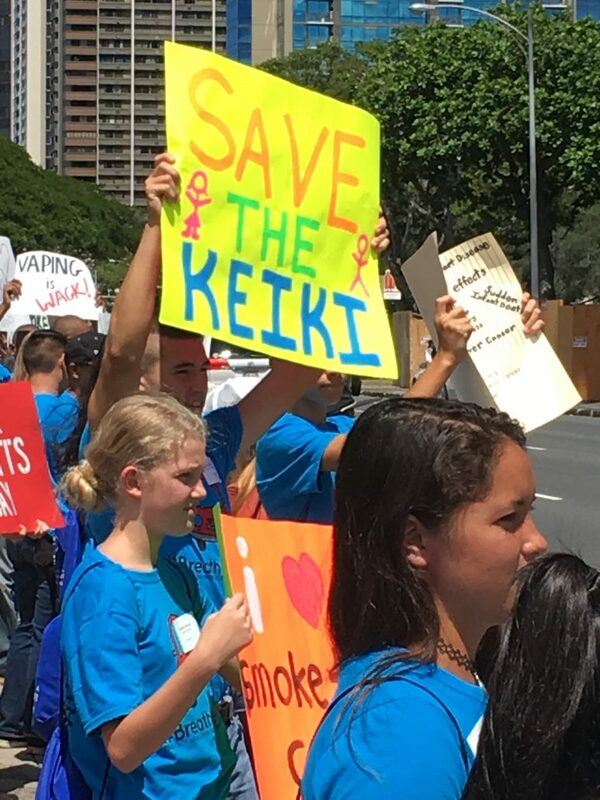 Joining First Lady Dawn Ige at the rally were Senator Rosalyn Baker, Senator Will Espero, Senator Josh Green, Senator Kaiali‘i Kahele, Senator Karl Rhoads, Rep. Lynne DeCoite, and Rep. Bert Kobayashi. 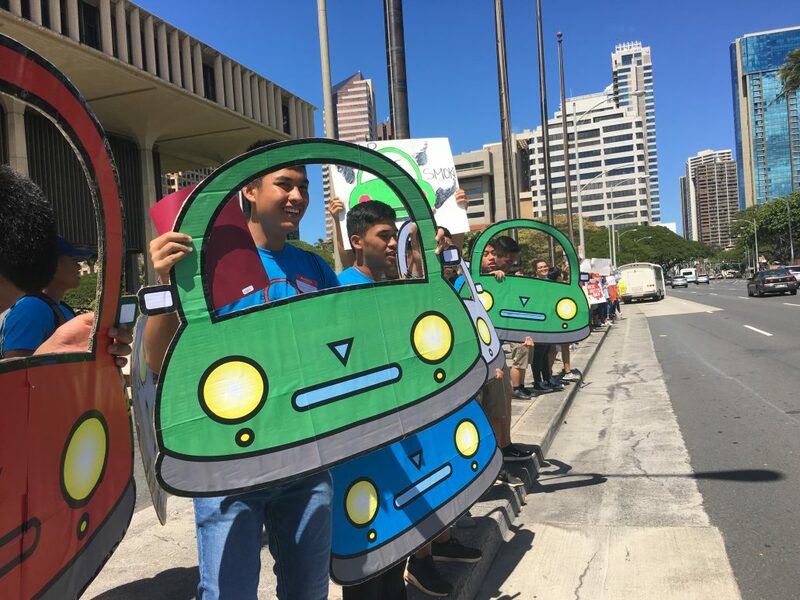 Youth advocates also spoke today in support of Senate Bill 134, which would make all University of Hawai‘i campuses tobacco-free, and Senate Bill 404, which would tax e-cigarettes and require a permit to sell them. E-cigarette use has been skyrocketing among teens as e-cigarette manufacturers mimic the marketing tricks used by the tobacco industry to entice and hook new generations of smokers. 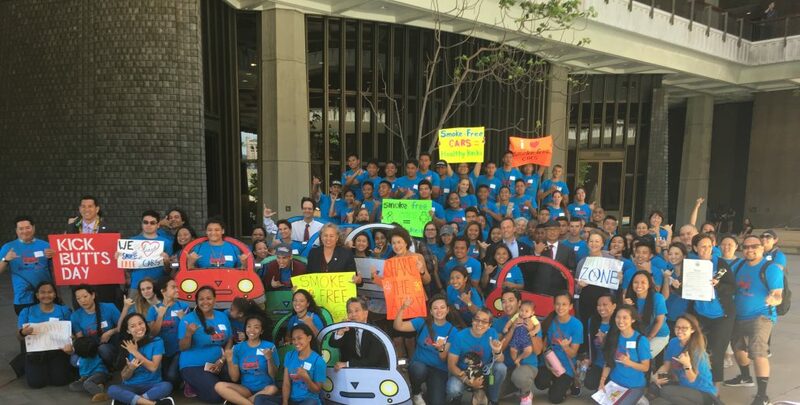 In Hawai‘i, we took an important first step in 2016 by requiring purchasers to be 21 or older. Enforcing this requirement has been a challenge due to there being no permitting system for e-cigarette sellers. In other words, we don’t know who is selling them so it makes it quite difficult to monitor and enforce the age requirement. Senate Bill 404 addresses that. The Surgeon General has confirmed that e-cigarette vapor is not harmless. It contains nicotine, heavy metals like nickel and lead, and the same compounds found in car exhaust. 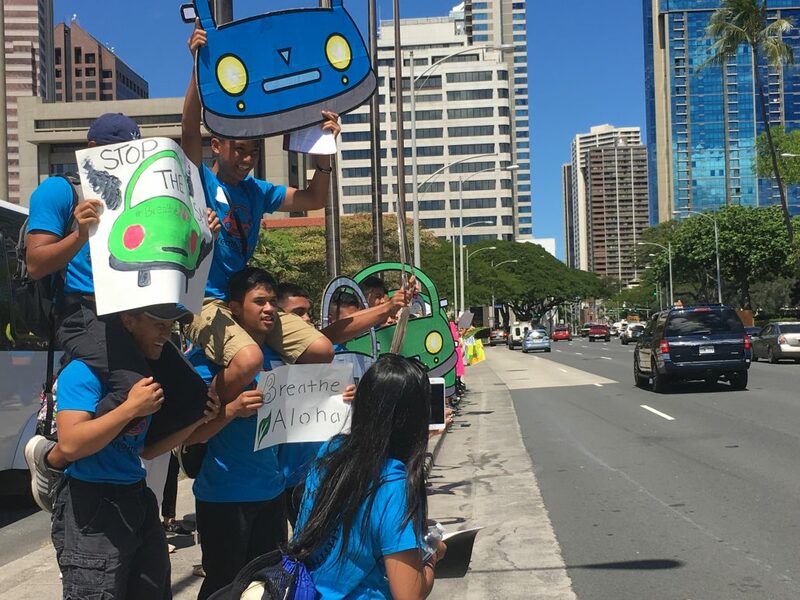 The Coalition for a Tobacco-Free Hawai‘i is a national trailblazer in reducing tobacco use through education, policy and advocacy. 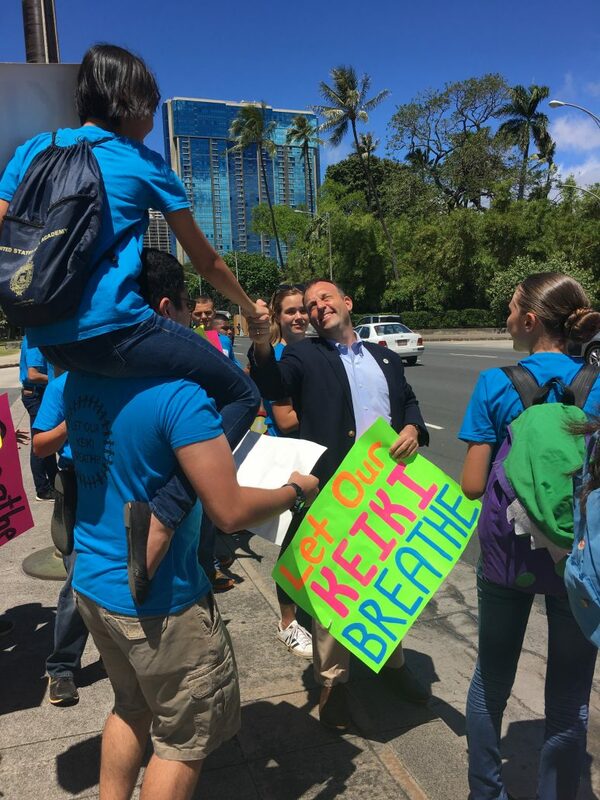 The Hawai‘i Public Health Institute (HIPHI) is a hub for building healthy communities. HIPHI helps others build capacity by providing issue-based advocacy, education and technical assistance through partnerships with government, academia, foundations, business, and community-based organizations. 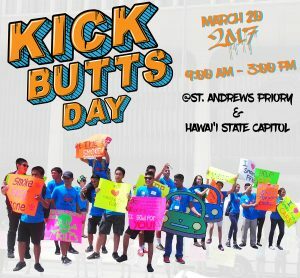 Kick Butts Day is a national day of activism that empowers youth to stand out, speak up and seize control against Big Tobacco. 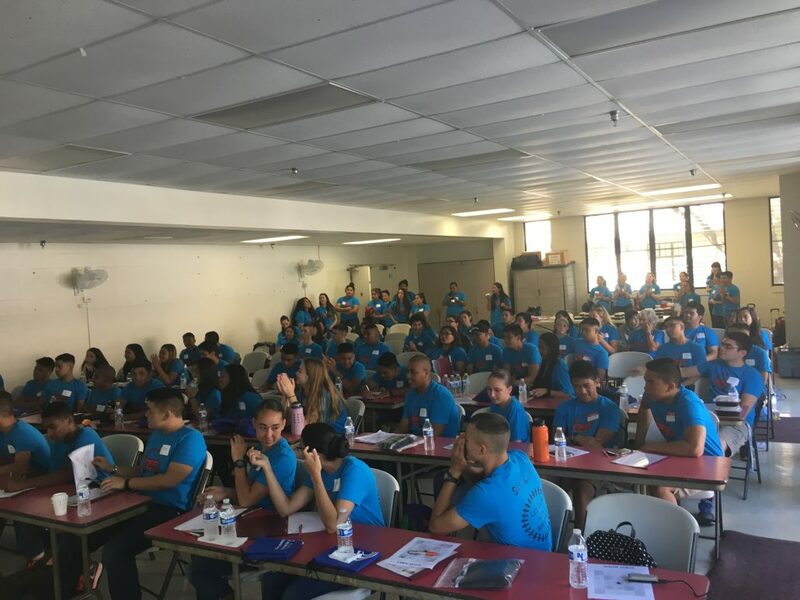 Across the United States there will be more than 1,000 organized events where teachers, youth leaders and health advocates will raise awareness of the problem of tobacco use in their community, encourage youth to reject the tobacco industry’s deceptive marketing and stay tobacco-free, and urge elected officials to take action to protect kids from tobacco. Cigarette and e-cigarette smoke produce secondhand smoke, which is harmful to our health. 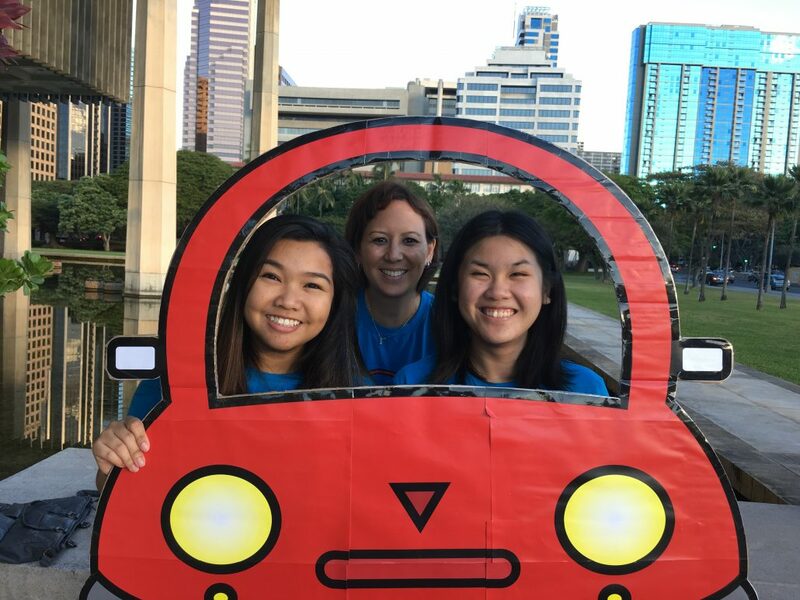 Children that ride in vehicles and breathe in secondhand smoke are at a higher risk to develop a range of respiratory problems such as asthma that could last a lifetime.